As States Embrace Online Gambling, Questions Arise : All Tech Considered New Jersey is the newest state to make online gambling legal. Its law limits participation to state residents, but how will that be enforced? And groups that help compulsive gamblers are worried that gamblers won't have to go to casinos to feed their addiction. Internet gambling has become legal in New Jersey and Nevada, but experts say enforcement and regulations still need to be straightened out. Several states are rushing to establish a foothold in online gambling — an activity that federal officials were only recently trying to ban. Just a while ago, the federal government actually viewed online gambling as a crime. Lately, the Obama administration has taken a more permissive stance. It now allows states to sell lottery tickets online. New Jersey Gov. Chris Christie had expressed reservations about online gambling a month ago and had vetoed an earlier version of the bill. But in the end, the pressure to sign the legislation was just too great. The Rev. Richard McGowan of Boston College, who studies legalized gambling, says New Jersey is eager to reap tax revenues from online gambling, and it's competing with other states to break into the industry early on. Nevada has already approved a law and Delaware has taken steps to legalize the activity. But McGowan says the logistics of regulating Internet gambling are still being worked out. "I'm just wondering who is going to be running it?" he says. "How are they going to be regulated? How much are the states going to be willing to spend to regulate this stuff? It's going to be a good question." There are also big technical questions about online gambling. The New Jersey bill limits the activity to people who are actually physically present in the state. So New Jersey companies that set up gambling websites will have to find ways to keep people in other states from accessing them. Casino industry officials say technology to do that exists. The bill will also require companies to spend money on gambling-addiction treatment programs. Donald Weinbaum, executive director at the Council of Compulsive Gambling of New Jersey, notes that with Internet access, people will no longer have to go to a casino to wager money. 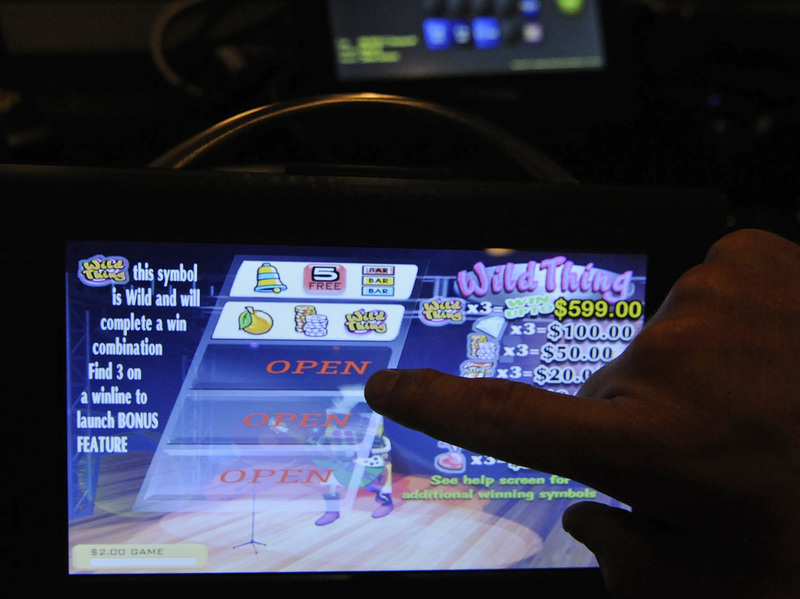 "Compulsive gamblers usually [are] looking for action and being able to play anytime, anyplace, maybe being able to play on multiple sites at one time, play in the car," Weinbaum says. "There's a certain appeal to that." Yet he says it's also not clear how to keep young people from gaining access to the websites. "Kids are already into using the Internet, so that's a real risk, a real danger, and we're concerned that it may be very hard to keep out underage players," Weinbaum says. But state and federal officials are willing to take a chance that these issues can be worked out. And there's simply too much money involved not to try. McGowan says New Jersey's struggling casino industry sees the Internet as a rich source of new revenue. "Their newest casino just went bankrupt," McGowan says. "Two of their other casinos got sold for less than $20 million. Atlantic City is in real trouble, so Christie is trying to do anything right now to save Atlantic City." Many gambling companies see the Internet as a way to reach out to new customers and lure them into the casinos. And the more they can do that, the more tax revenue that will bring in. That's increasingly important to states like New Jersey, which continue to face big budget shortfalls five years after the financial crisis got under way.